Bearing Pointe - 1 bedroom & den open great room floor plan featuring all the premium finishings! Kitchen features stainless steel appliances, contemporary full wrap cabinets, under cabinet lighting & caesarstone countertops plus eat up breakfast bar. Cozy built-in fireplace & access to your covered balcony. Bright Master Bdrm with his/her closets & 5 piece ensuite. Large Den perfect for an office or a second bedroom. In suite laundry along with a powder room for guests. Secure well lit parkade w/ security camera. 2 pets & rentals allowed. 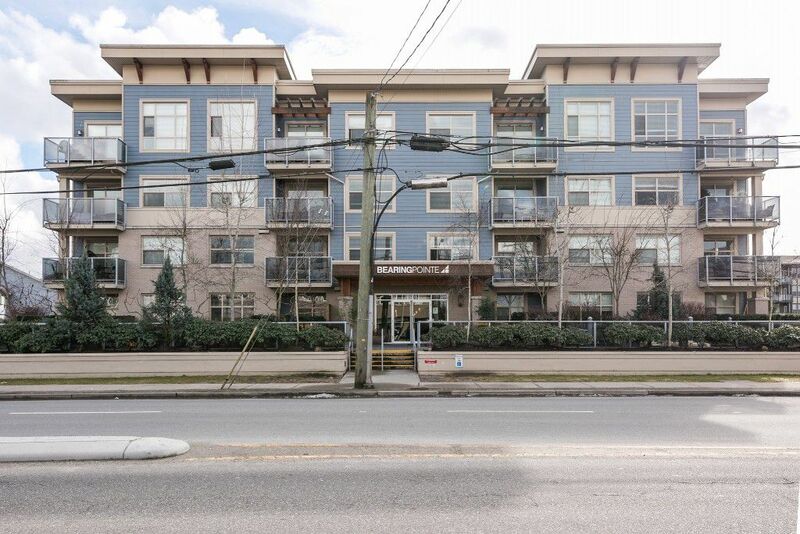 Absolutely gorgeous building in a convenient location within minutes to shopping, transit and parks! Call today!